Pfc. 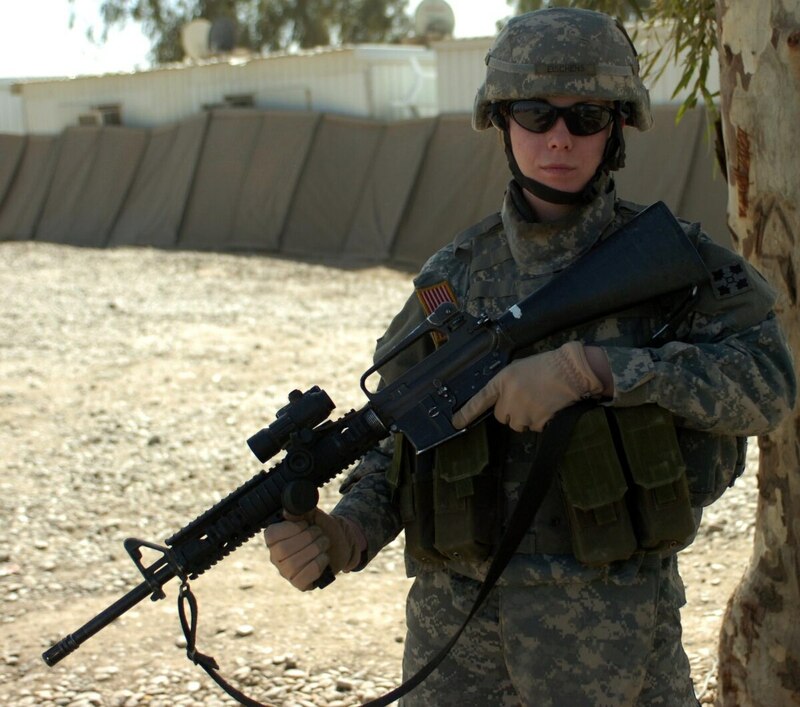 Jennifer Eischens of Fox Company, 1-68 Combined Arms Battalion is a food service specialist by trade. Eischens also goes on patrol to assist in communicating with Iraqi women. Women will have to register with the Selective Service and would be eligible to be drafted in the military, under a provision narrowly approved by a House panel on Wednesday. The proposal passed the House Armed Services Committee without support from its sponsor, Iraq War veteran Rep. Duncan Hunter, R-Calif., who introduced the measure as a way to force congressional conversation about the role of women in the military. But several Republicans broke ranks with their committee counterparts to support the idea of drafting women for military service, until now a possibility solely reserved for men. Under current law, all men ages 18 to 26 are required to register for possible involuntary military service with the Selective Service System. Women have always been exempt, and past legal challenges have pointed to restrictions placed on their military service as a reason for their exclusion. But earlier this year, Defense Secretary Ash Carter opened all military jobs to women, negating that argument. Hunter said the move made the Selective Service setup "sexist" and said he was unwilling to leave the draft issue up to the White House or Pentagon. But he also made clear he opposed the idea of adding women to draft lists. Others disagreed, including Nevada's Rep. Joe Heck, New York Rep. Chris Gibson and Arizona Rep. Martha McSally, fellow Republicans and Iraq War veterans. McSally argued that if a draft was needed, women could serve any number of military roles, including but not exclusive to infantry jobs. The vote came the same day Army officials announced that Capt. Kristen Griest, one of the first women to earn a Ranger tab, will becoming the Army's first female infantry officer. Defense Department leaders have already backed the idea of adding women to the draft, while also emphasizing they do not see any scenario where a draft will actually happen. No Americans have been pressed into involuntary military service since the last draft ended in 1973. Lawmakers have also included in the legislative language requiring a full review of the Selective Service System and possible "alternatives" to the current system. The agency's activities cost taxpayers roughly $23 million each year, and a 2012 Government Accountability Office report questioned whether the system could even provide a list of draftees to the Defense Department if called upon to do so. Senate lawmakers must sign off on the draft review and changes before they can be sent to the president to become law. The authorization bill isn't expected to be finalized by Congress until this fall.